Congratulations to the Hawksmoor Fund Managers team, whose Distribution Fund has been named as a finalist in the Investment Week Fund Manager of the Year Awards. The Distribution Fund has made the shortlist in the Managed Balanced category, and the winner will be announced at the Awards ceremony on 5th July at Grosvenor House in London. 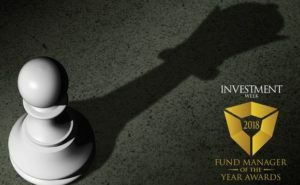 For more information about the Awards, including the finalists in all categories, see the Investment Week Fund Manager of the Year Awards website.